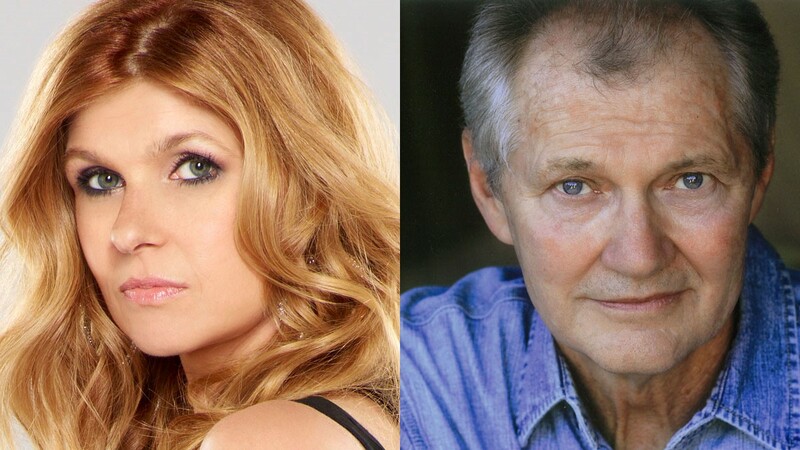 Celebrated actress and activist Connie Britton and beloved arts educator and actor Andy Robinson will deliver the charges to the graduates of the USC School of Dramatic Arts during two commencement ceremonies on Friday, May 11, at the Bing Theatre at the University of Southern California. Britton will speak at the undergraduate ceremony, scheduled to begin at 11 a.m., and Robinson will speak at the graduate ceremony, scheduled to begin at 3 p.m. Please note, the commencement ceremonies are ticketed events and not open to the public. Four-time Emmy nominated Connie Britton, is an actress who continually receives accolades for her work in television and film. After stand-out roles on series such as Spin City, 24, and The West Wing, she starred in one of the best reviewed shows on television, NBC’s Friday Night Lights created by Peter Berg, for which she received an Emmy nomination in 2010 and then again in 2011. Britton returned to the small screen fall of 2012 starring in ABC’s Nashville, in which she played Rayna James, a legendary country music superstar, earning Britton her first Golden Globe nomination and fourth Emmy nomination. Britton also starred as the female lead in the first season of American Horror Story, Ryan Murphy and Brad Falchuk’s Golden Globe and Emmy nominated series for FX for which she also received another Emmy Nomination. She teamed up with Murphy again in American Crime Story: The People v. O.J. Simpson for FX, in which she played Faye Resnick and most recently for Murphy’s new FOX procedural first-responder drama, 9-1-1, alongside Angela Bassett and Peter Krause. This past fall Britton also appeared in Frankie Shaw’s Golden-Globe nominated comedy SMILF for Showtime. Britton will next star in the first season of Bravo Media’s scripted anthology series Dirty John, based on the articles and breakout true crime podcast of the same name from Los Angeles Times reporter Christopher Goffard. She will play Debra Newell, a successful interior designer and single mom from Orange County who falls in love with John Meehan, a charismatic and mysterious man who first divides then terrorizes her family. She will also serve as an executive producer. In film Britton’s recent credits include: Professor Marston & The Wonder Woman, Beatriz at Dinner, Me & Earl & the Dying Girl, This Is Where I Leave You, The To-Do List, Seeking A Friend For The End Of The World, American Ultra and The Brothers McMullen. Britton recently completed production on Land of Steady Habits, based on the debut novel from Ted Thompson, written and directed by Nicole Holofcener. In April 2014 Britton was appointed as a Goodwill Ambassador for the United Nations Development Programme. In this role, she will raise awareness of UNDP’s work in poverty eradication and women’s empowerment, advocating to the American and global public. Britton is a graduate of Dartmouth College where she majored in Asian Studies. The professional career of Andy Robinson has encompassed theatre, film and TV, as both an actor and a director. He has worked in Europe and throughout the United States in over a hundred theatrical productions — which include Broadway, off-Broadway, off-off, Los Angeles and regional theatres. Robinson was a founding member of La MaMa Plexus, the Antaeus Classic Theatre Company, and the Matrix Theatre Company where he functioned as co-artistic director for 10 years. Robinson’s film acting credits include the original cult classics Dirty Harry and Hellraiser, as well as The Drowning Pool, Shoot to Kill, Mask, Cobra and Charley Varrick. His work on television includes numerous episodes from Bonanza to the recurring role of Garak on Star Trek: Deep Space Nine, and the TV films The Atlanta Child Murders, The Trial of Bernhard Goetz, Incident at Vichy and Liberace (title role). Robinson directed episodes of Deep Space Nine, Voyager and was a staff director on CBS’s Judging Amy. He has been nominated for an Emmy and won several L.A. Drama Critics Circle and Ovation Awards for both acting and directing. He has written a novel, A Stitch in Time, published by Simon and Schuster, and a theatrical memoir, Stepping Into the Light, published by Figueroa Press. Currently a professor of theatre practice and member of the MFA Acting faculty of the USC School of Dramatic Arts, Robinson created the current MFA Acting Program and directed it for 10 years. He is a graduate of the New School for Social Research and a Fulbright scholar at the London Academy of Music and Dramatic Art, where he trained as an actor.